New Zealand’s tourism sector is on track to overtake dairy as New Zealand’s biggest export earner and the country will soon crack three million visitors a year. Tourism has recovered from the hit dealt by the global economic crisis and for the past three years has enjoyed strong growth. Prime Minister John Key, who is also Tourism Minister, expects this summer to be the country’s biggest for the visitor industry. “It’s a growth sector and there’s a lot more left in the tank,” Key said. The number of visitors in the 12 months to June was just short of three million, up 7.4 per cent on the corresponding year. The latest full year figures showed international tourism expenditure contributed $10.3 billion (15.3 per cent) to New Zealand’s total exports. Key said recent strong growth had come in spite of a strong Kiwi dollar against main source markets and the more favourable exchange rate for visitors would make this country even more attractive. The benefits of tourism were widely spread with most spending outside Auckland, Wellington and Christchurch. Statistics New Zealand figures show the tourism industry directly employed 94,100 fulltime equivalents, or 4.7 per cent of total employment. The Chinese market was particularly strong and so was the outlook, the Prime Minister said. Statistics New Zealand figures show the number of visitors from China grew by nearly a third in the year to June, reaching 313,000 and on track for 350,000 in the current year. Around two-thirds of those visitors are on holiday, staying for longer and spending more. Key said the recent debate over whether China-based investors were speculating on Auckland property had been noticed at Chinese Government circles but probably not among potential visitors. However, the debate here had to be fair. Tourism industry leaders have been lobbying the Government to relax rules around employing visiting workers to fill labour shortages in tourism hotspots such as Queenstown and Key said changes to the migrant points system – where incentives are increased for those moving to the regions – and to working holiday visas would help. Some towns were also calling for a “bed tax” as the increased number of tourists was putting a strain on infrastructure. Key said he and officials were sympathetic to small centres but there would have to be guarantees that any funds collected would be spent on that for which they were intended. The Government is also under fire from the tourism industry after its surprise imposition of a “border clearance levy” – a tax that could cost most adults up to $21.85 for a round trip to and from this country. In spite of advice from consultants that the tax could reduce visitor numbers and spending, the Prime Minister reiterated his view it would make little difference. He said exchange rate movements, increased hotel room rates and the strength of their home economies were far more likely to influence potential visitors rather than the equivalent of “four or five coffees”. The Tourism Industry Association New Zealand agrees with Key’s assessment that another bumper summer season is in prospect. It has been holding a series of 12 regional tourism summits and chief executive Chris Roberts said the sector was in extremely good heart. “For many regions, tourism is the bright light when it comes to economic growth. “We’ve seen good growth in international and domestic visitor spend in the past two years and that looks set to continue,” Roberts said. Roberts said the travel tax would have a negative impact. “The Government’s own advice suggests an impact that could reduce visitor spend by $100 million a year – and the actual impact could be much higher. It was a handbrake as the industry strove “to almost double the value of tourism [to the economy] to $41 billion a year by 2025,” he said. High-end Waiheke Island tourism operator Bianca Ranson says her business is booming. The founder and director of Potiki Adventures said the increase in demand had been particularly noticeable in the last 18 months. She said the outlook for summer was strong. Ranson said a trip to the United States last year with other tourism operators had helped establish connections with agents that are now starting to pay off. Her firm has three vans used for tours that showcase Waiheke Island’s scenery, vineyards and Maori culture and artists. Groups can also be hosted on marae. “The whole haka and hongi experience used to be considered what Maori tourism was about. If you’d been to a show you’ve ticked the box. She went through the Maori immersion unit at Western Springs College and after further training started her own business after she couldn’t find a business that suited her own values. 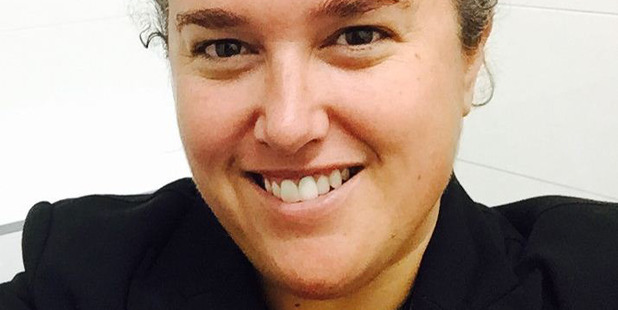 Ranson, 35, said she was part of a new generation of Maori. Potiki Adventures won the New Zealand Outdoor Awards last year. • The Chinese appetite for global travel and New Zealand is on their radar. • Australians are still coming in big numbers despite a softening economy, and ski trips have been helped by more flights. • The Americans are back in big numbers and other traditional markets, especially Germany, are strong. • Competitive air fares are helping make New Zealand attractive for long-haul markets. • Fitting them all in at certain times of the year. Hotels are at capacity in peak weeks around February. • Trouble finding enough staff in hotels and other tourist ventures. • The industry is worried about the impact of looming border tax increases. • International tourism receipts increased by US$48 billion last year to reach a record US$1.2 trillion. • While NZ is claiming its share of the growing pie, it is facing increased competition from other destinations. • International tourism expenditure contributed $10.3 billion (15.3 per cent) to New Zealand’s total exports. • Domestic tourism expenditure increased by 3.2 per cent ($419 million) to $13.4 billion. • Tourism generated a direct contribution to GDP of $8.3 billion, or 4 per cent of GDP. • The indirect value added of industries supporting tourism generated an additional $6.5 billion for tourism, or 3.1 per cent of GDP. • The tourism industry directly employed 94,100 full-time equivalents, or 4.7 per cent of total employment in New Zealand. • Tourists generated $1.8 billion in GST revenue.